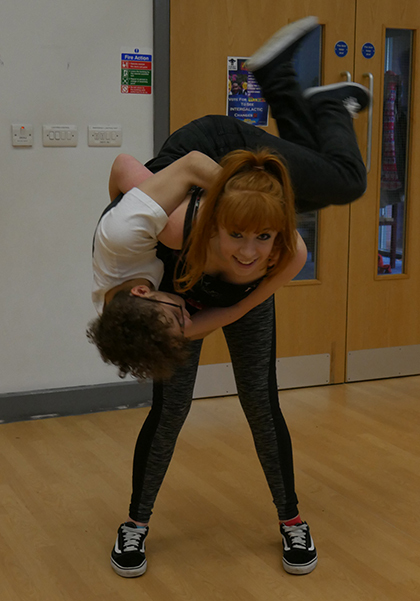 Drama students at The Sixth Form College, Solihull enjoyed a half-day physical theatre workshop from the Frantic Assembly theatre company last week. The two 3½ hour workshops, for both first and second year A level Drama students, were run by Steven Miller, who works for Frantic Assembly and has a host of successful acting jobs behind him, including starring as Lenny Lyons in the hit BBC medical drama Casualty. He also had great reviews in Frantic Assembly’s highly acclaimed tour of Othello two years ago. 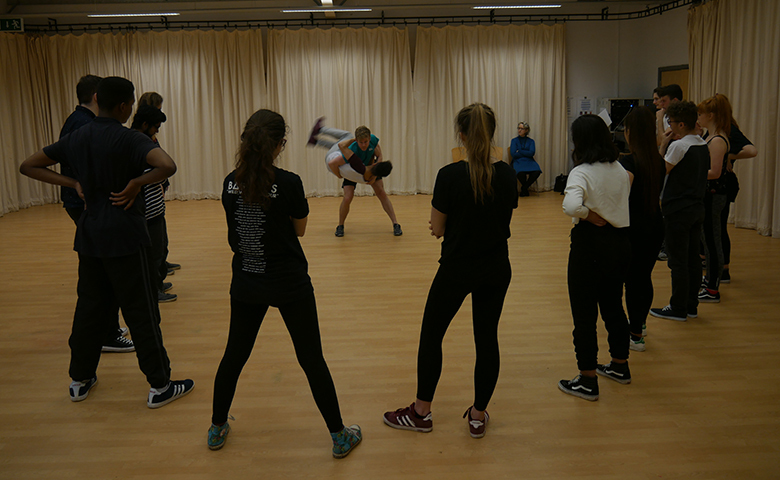 The workshops were highly physical and students worked up a sweat as they completed exercises on devising and physical theatre. The students were also taught techniques for doing spectacular lifts. Everything they learned will be put to use in their own original creative adaptations, as part of the ‘Dram4’ Devised play element of the A level course. Drama students will be assessed on their showcases after New Year, with Year 12 students completing this work in January and Year 13 students doing so in March.